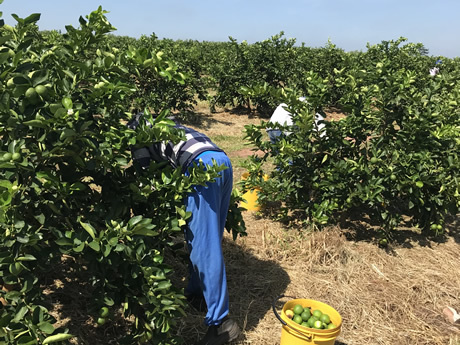 "Little movement on the lime market after a dramatic 2018"
"2018 was a dramatic year for limes", Marcel Verdellen of Satori Holland reminisces. This company is based in Venlo, the Netherlands. "Prices sometimes dropped to as little as EUR1 per box. I have never experienced that before. When it was so hot this past summer, the market stagnated completely. That had a considerable impact." "There is also still no good news. There is too much supply and too little demand. The prices are under pressure anyway", says the importer. They usually get limes from Brazil from January to March. "Prices are currently at a level of between EUR3,50 and 4,50. That is simply too little. Limes must make EUR6,50 - 7. Everything less just costs us money." There is no easy solution. "Hopefully some parties will stop importing and exporting limes. That would be the only solution", continues Marcel. It is also not an option for Satori to stop trading in limes. "Limes are anchored in the history of our company. We have partnerships with growers that have been in place for more than 20 years. We are not going to break these over a single bad year."